If you’ve missed Dale Moss’s writing over the past year or so, never fear. 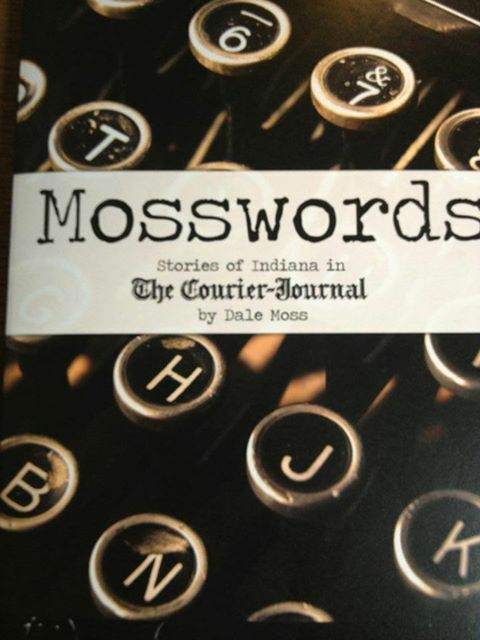 The former C-J columnist, a Southern Indiana institution, will be reading from, discussing, and signing his new book, Mosswords: Stories of Indiana in The Courier-Journal, at Destinations Booksellers on Tuesday, August 27, from 4 to 6 p.m.
Dale has collected scores of his most memorable columns in a collectible format that’s now on sale here at the store. The Jeffersonville resident remains active as a journalist with the newspaper in Salem, Ind., but his perspective on Indiana has been sorely missed by C-J readers. Take this opportunity to meet Dale and tell him how much you’ve missed him – and show him how much by buying his book.